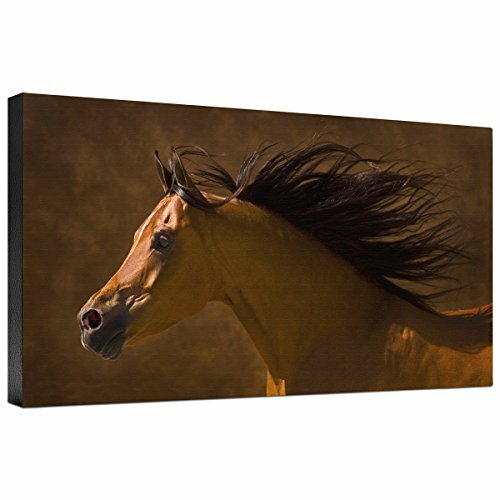 Accent your equestrian home with the Arabian Runner Gallery Wrapped Canvas, featuring a gorgeous brown and black horse on a coordinating brown background.48"W x 24"H Canvas Brown, black and white Gallery wrapped ~ Ships from the manufacturer. Allow 2 to 3 weeks. Cannot express ship.